With some home purchases pulled forward into the final months of 2017 as buyers attempted to beat the Jan. 1 stress test deadline, Toronto’s market is being closely watched for signs of weakness. “It’s not as hot as last year at this time (thank goodness), but by no means is it a dead market,” Scott Ingram, realtor at Century 21 Regal Realty Inc. and a chartered accountant, told BNN in an email. Sales activity for January will be down “somewhere around 10 per cent” in the city of Toronto compared to the five-year average, “so that seems to have played out according to script,” Ingram said. The Office of the Superintendent of Financial Institutions has tightened rules governing the mortgage market – known in the industry as the B-20 guidelines. RateHub.ca suggests it could cut a family’s purchasing power by up to 21 per cent. 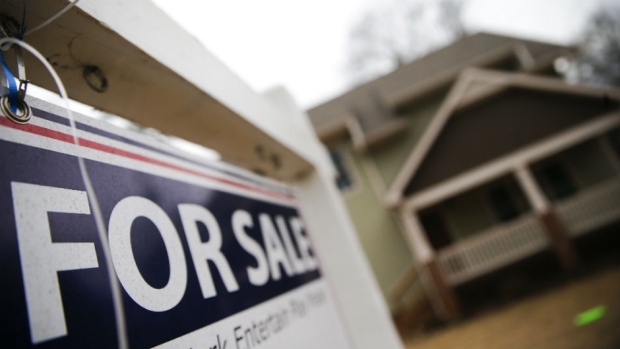 And now borrowing costs are on the rise for both floating and fixed-rate mortgages. While condos are viewed as an affordable option for many, including first-time homebuyers, prices are on the rise. Indeed, the Toronto Real Estate Board reports the average selling price for Greater Toronto Area condos surged 18 per cent in the fourth quarter of 2017, compared to a year earlier. And it appears condo price pressures are not easing. “We’re seeing prices across the first-time buyer entry points (be it condo, townhouse, or a house) go up, and the return of multiple and double-digit offers,” Lauren Haw, CEO and broker of record at Zoocasa, told BNN in an email. New listings, meantime, are down 10 per cent for condo apartments compared to January 2016, according to Zoocasa. When it comes to prices, John Pasalis of Realosophy.com reckons average January prices to be down some six per cent year-over-year. He says the decline was led by houses, which fell eight per cent. Pasalis points out condo prices, meantime, will be up 11 per cent for January. When it comes to the stress tests, it could take several months before the full impact is felt in the market. “Mortgage volumes haven’t dropped off a cliff as some had feared, at least not yet and not at the biggest prime lenders,” Rob McLister, founder of RateSpy.com, told BNN in an email. Many potential homebuyers “front-ran the rule change by locking up an approval in November or December,” he said. “Once all the 90 to 120-day pre-approvals expire in April, we’ll get a better read,” said McLister.